Slice the pork belly into 1/2 inch thick and 2 inch long slabs. Grate the garlic and mix all the non-pork ingredients. 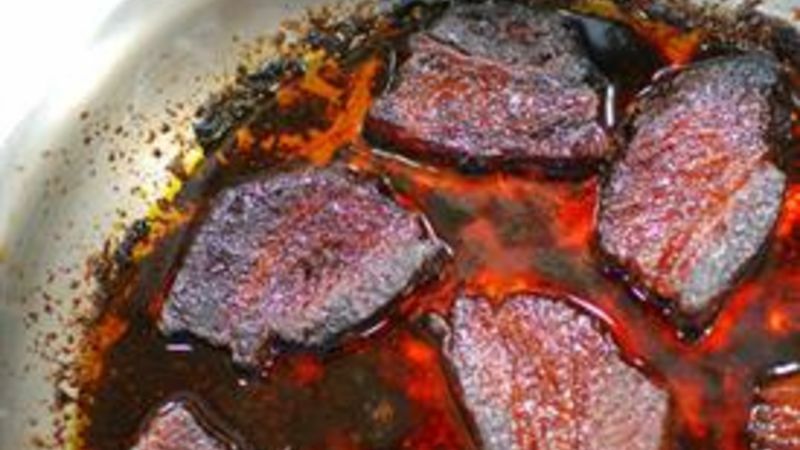 Pour the liquid into an oven-safe frying pan. Place the pork into the pan and season with salt and pepper. Spoon some of the liquid on top of the pork. Place the pan into the oven. After an hour, flip the pieces of pork and return to the oven. Turn the oven up to 300°F. After the next hour, flip the pork again. After a half hour or so the pork should be nicely browned and super tender.